What’s the feeling you get whenever you find an insect around your home? I guess you just want to grab something and crush them instantly and for good reasons too. Some of them are dangerous carrying terrible toxins with painful and sometimes fatal stings. The ones that elicit the worst feelings are the crawlies, those tiny creepy things with so many legs are always so disgusting you’ll just feel like squishing the life out of them immediately. 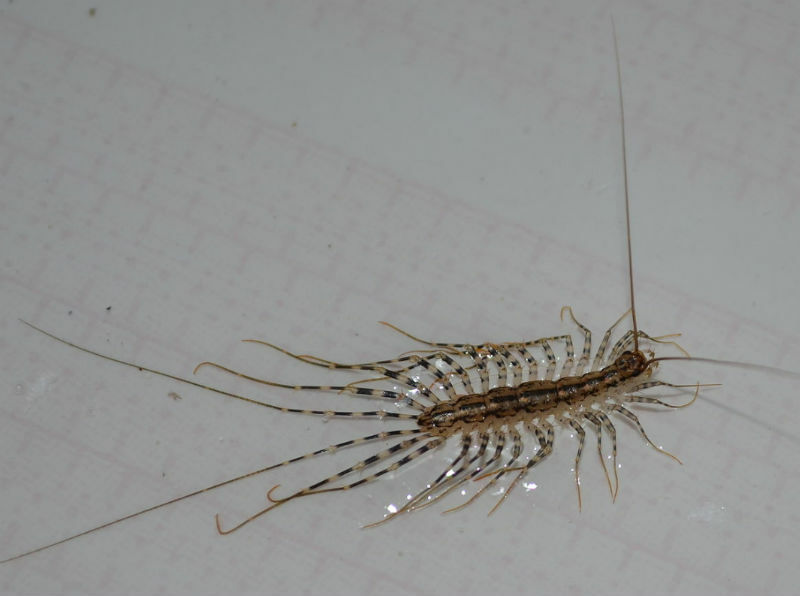 But maybe after reading this, you think twice before crushing the hideous looking Centipedes to death the next time you find any hanging around in your bathroom. 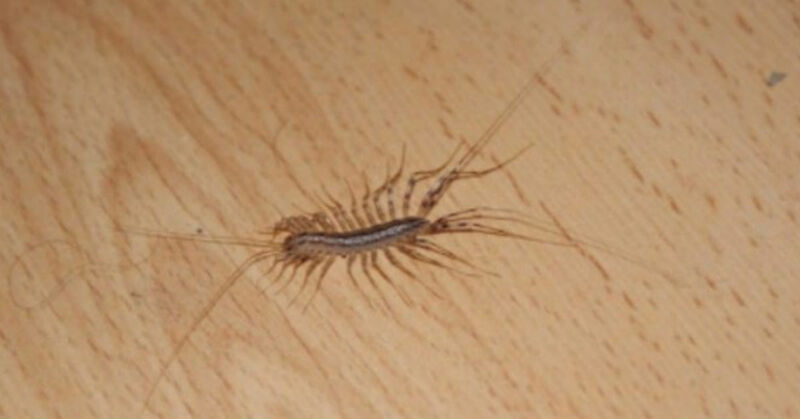 Centipedes can give you quite a fright whenever you find them creeping around in home, and it can be really hard to resist the temptation to squish them. But when you hear how much help they’ve been around the house, you might want to just reward them by sparing them their lives from now on. It turns out that those squirmy fast moving creatures have actually been defending your home against other little insects. There is a particular type of centipede found around the house that is a bit shorter than their other wormy relatives, with about 20 legs around their body. Those little creatures have been your invisible exterminator keeping household pests like cockroaches, spiders, silverfish, bedbugs, and ants away from your house. 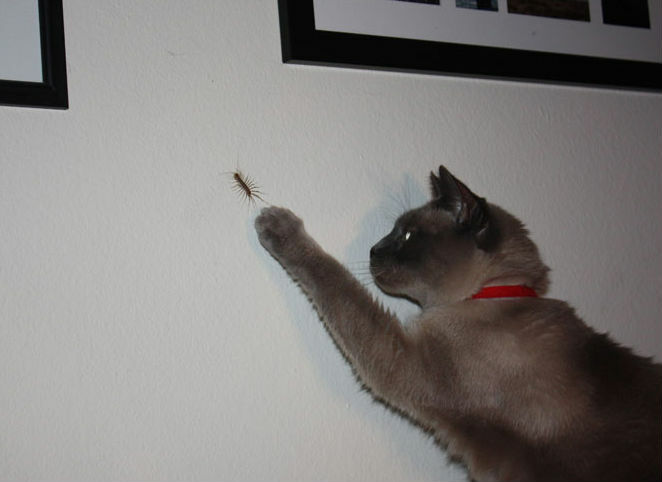 In fact, they have a very ferocious appetite and would pretty much eat any arthropod they find around the house. While this doesn’t mean you should simply open the doors of your house and let the centipedes come in their numbers, after all, they are the good guys, it simply means you should let the one or two you might find around the house off the hook the next time they show up as a token of appreciation. They may cause a bit of a stir when they are discovered especially by little children or even adults that might find them scary and disgusting. But rather than just squish them, simply let them walk away or toss them outdoors to go feed on some leaves. Another good reason you should avoid squishing every insect you find all over the house is to avoid squishing spider and risk letting out hundreds of tiny baby spiders in your home. That’s a sight you don’t really want to see. And for the centipedes, they are really not that bad. Asides giving your heart a fright, they are just scrawny little things that can hardly strong enough to cause serious harm. And if you consider they don’t actually spread germs all over the home like other insects do, it will convince you that they are really the good guys. You shouldn’t even worry about the centipedes, they are practically harmless. There are a few others that we can’t really say the same about them. These insects cause a lot of terrible diseases that can be fatally dangerous and can lead to death without adequate medical treatment. Those are the ones you should really look out for. Here are a few of the deadliest bugs you should pray you never see around the house. Bullet ants: as their name implies, a bite from these ants feels like you’ve been shot. So you should try to avoid getting bitten. They are one of the largest species of ants and are commonly found in the rainforests of Nicaragua and Paraguay. Bot fly: The Botfly isn’t the problem per say, it’s its larvae which is an internal parasite of many mammals including man. The female lays its eggs within the skin and as the larvae begin to grow, it penetrates further into the skin causing an infection that leads to severe skin tissue changes. Some parents even report feeling the larvae moving around inside their skin. Fleas: fleas feed on blood and their bites can lead to skin irritation and itching and sometimes cause skin infections. Fire ants: Fire ants are highly notorious stingers and will repeatedly sting an intruder leaving painful white pustules on the skin which can last for weeks. There are more than 295 different species of the ants. Some of them give out harmful venom that can cause an allergic reaction in some people. Kissing bug: Known for biting the lips of their victims, their kiss of death is responsible for as much as 12,000 yearly deaths as a result of the trypanosome cruzi parasite which they transmit. Giant Japanese Hornet: The largest of all hornet, they grow to a size as much as 2 inches and pack a powerful sting that kills about 40 people each year. Tsetse Flies: The tsetse flies cause an estimated half a million deaths on the African continent from sleeping sickness transmitted by their bite. Killer Bees: killer bees swarm in overwhelming numbers and attack ferociously which is most times very fatal because of their number. Driver ants: These ants have powerful mandibles that deliver very powerful bites. They can kill of several animals in a single raid. Other insects are not safe from their assault and they can also cause terrible bite wounds in humans. Mosquito: Reputed as the deadliest insects and perhaps even the deadliest creatures on earth, mosquitos cause as much as 1 million deaths each year from diseases like malaria, yellow fever, West Nile virus and encephalitis.